“Now, in his sophomore year of high school, Moss and his fellow classmates find themselves increasingly treated like criminals by their own school. New rules. Random locker searches. Constant intimidation and Oakland Police Department stationed in their halls. Despite their youth, the students decide to organise and push back against the administration. 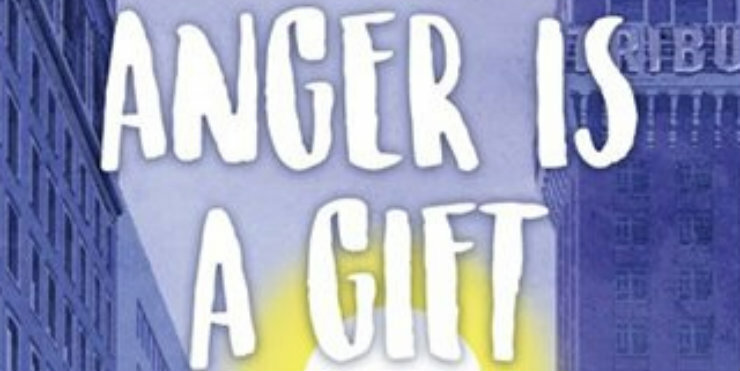 I don’t cry at books or films very often, but Anger is a Gift not only made me cry, it turned me into a blubbering mess, not once, but multiple times. Mark Oshiro writes in a descriptive, realistic and gorgeous way that pulls you in and won’t let go. The book deals with some heavy topics in an honest and unrelenting way. Oshiro doesn’t hold back with the depictions of brutality, making you really feel as though you’re there. I'm a volunteer book reviewer. Visit my book blog.